b) OnePlus ran out of smart taglines. It would've made little sense to OnePlus to revise the job description but, while the OnePlus 2 is clearly superior it lacks one thing the original had, the benefit of surprise. It's what got OnePlus into the flagship club and it seems the Chinese are now playing by the club's rules rather than trying to break them. Fair enough, we know they're good at the latter. Time to see them in their new role. 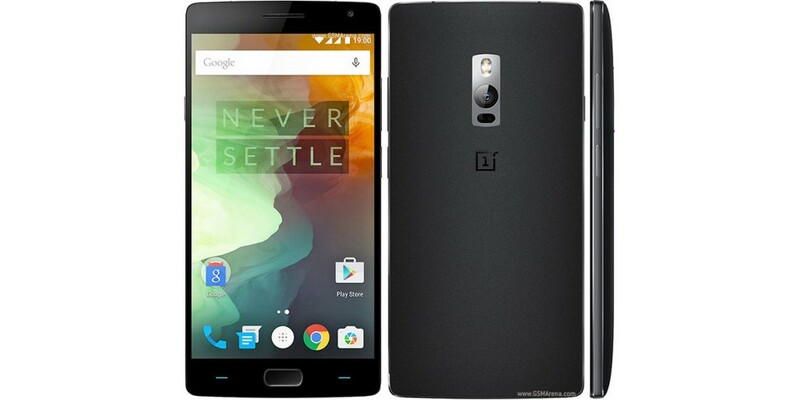 To begin with, the OnePlus 2 is clearly more sophisticated. Still a big handset but looking better than its predecessor. It uses some of the best tech currently available and the latest Android OS, while the breakup with CyanoGen is another sign of the company's emancipation. Not a decision that will get everyone's approval but perhaps OnePlus are confident enough to pursue their own brand of skinning Android. OnePlus started as a rebel company with the single goal of stirring up the flagship segment. The OnePlus One was not just a premium phone at an affordable price - it was good at creating hype and pretty much managed to justify it. The "Never Settle" startup is now a household name, quite an accomplishment in a single generation. Things have been set up nicely for the arrival of the OnePlus 2 but it's got plenty to live up to. The sequel improves on the design with metal accents and ups the horsepower with a Snapdragon 810 chipset. The main camera now has optical image stabilization and laser-assisted AF, a fingerprint sensor incorporated in a capacitive Home button. OnePlus also promises a more straightforward invitation process and says is better stocked to meet demand. The non-expandable storage and inaccessible battery were something the loyal OnePlus fans could very well live with but the Snapdragon 810 may be a questionable choice. OnePlus has down-clocked the CPU to 1.8GHz to alleviate the overheating and this is something we'll be watching in the performance chapter.